Year 4 Visit Rainton Meadows! At Derwent Hill, our Year 6 children have successfully completed their John Muir Award – an award that encourages young people to enjoy and care for wild places. The children had to discover a wild place, explore it, conserve the nature there and finally share their experiences with different audiences. This involved everything from climbing Walla Crag and plunging into Honister Gorge, to exploring Millican Dalton’s cave and whittling sticks to toast marshmallows over a campfire. 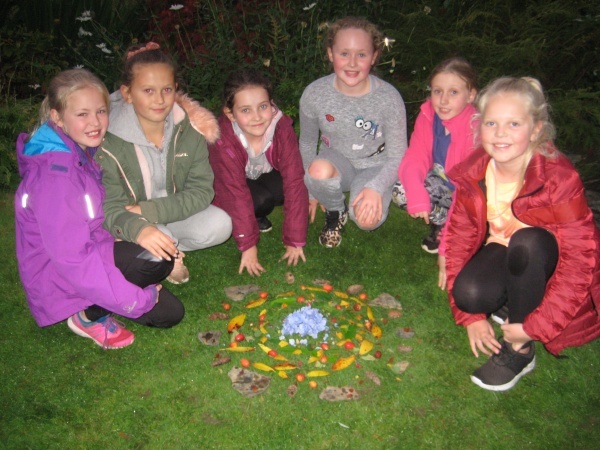 As part of the award, the children created some beautiful artwork inspired by nature – just like artist Andy Goldsworthy. They could use only natural materials found within the grounds of Derwent Hill and the end results were stunning.